Posted in SANSAR, Search. Tagged SANSAR, Sansar Meetings. The Casual Meetups are at oYo Galaxy Time Gate – 2pm – 3 pm (PT) Monday thru Friday! These meetings are hard to get into. Be early. Also, pre-cache the Experiences before the meeting you plan to attend. Program updates and Experience load times can cause you to arrive late and be bounced to an empty instance. Posted in SANSAR. Tagged Sansar Meetings. The Product Meeting will be Friday September 15 @ 9:30 AM and 4 PM PT in City Park. Be sure to visit before the meeting to cache the Experience/region and be early the day of the meeting to get into the right instance. The Casual Meet Ups will be Monday to Friday at 2 PM PT in Witchy’s Sandbox. 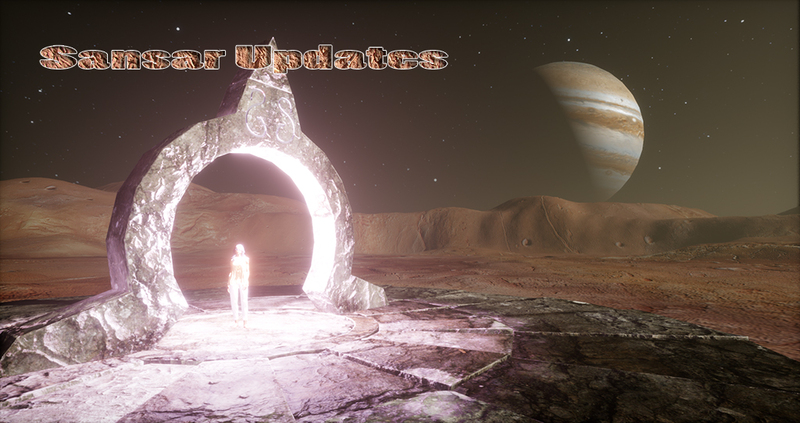 Today Sansar will get the update we’ve been looking for. This has the ‘keyframe’ animations. Or for SL peeps animesh. Plus, the terrain editor and other stuff. Sansar will be down for 90 minutes or so while the update is rolled out. There is a problem if you are a Win 7 user. See “Your version of Windows appears to be out of date” – warning after install. There is a little more information in the 9:30 Product meeting in the last 10 minutes of the video I am uploading. But, nothing to help with the problem. Sansar is not at the point where there is any backward compatibility. There is no Backward. So, users deal with stuff breaking. Which means we can’t sell stuff as the customer complaints and updates would be overwhelming. By the time the 4 PM Meeting happens the update should be out. There should be a couple of Product Team members at the afternoon meeting. Only Cara made it to the morning meeting and she couldn’t get her mic working. If you don’t know, you can do a Sansar viewer reset by clicking into My Look. So, when in an Experience click into My Look. When you come out, you pop back into the same instance of the Experience. It avoids the instance full problem that often blocks returning to a meeting. 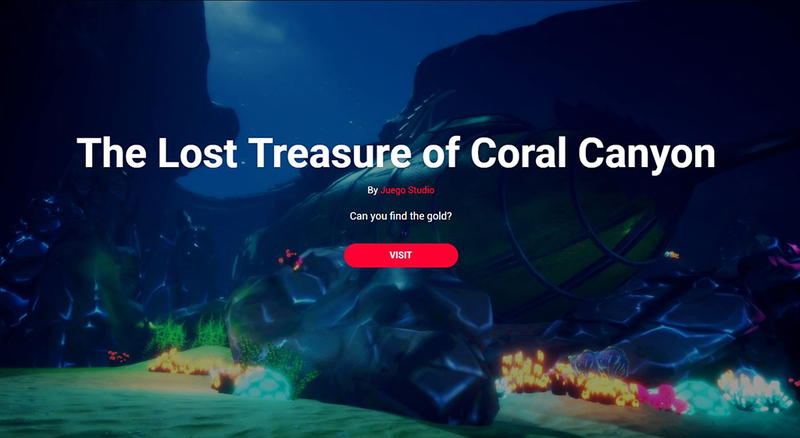 This week the Sansar Casual Meet Ups are at The Lost Treasure of Coral Canyon at 2 to 3 PM PT Monday thru Friday. The Experience takes a bit to download. So, give yourself extra time for your first trip there. It is a bit hard walking in this Experience. At least in desktop mode. You’ll need to use Ctrl-Mouse to target then left-click to go there. Also, as of today, the promised Sansar update is not yet out. Posted in Second Life. Tagged Sansar Meetings. Well, the new update was rolled back a few days. They had hoped to roll it out Thursday. Now it looks like… may be Tuesday… Wednesday… sometime next week (#36). So, we aren’t hearing much new news in this meeting but questions were getting answered. And there is a US$10,000 prize being offered. Look for red highlight. And… Maxwell’s RUNE is awesome. My Myst friends should like it. Even more awesome is his Ant Farm. Explore to find it. This video doesn’t show the ‘Experience’ off well. It does give me the incentive to figure out how to get my Gear VR working with Sansar. I’ve clipped out 20+ minutes of rambling. You see a page peel every so often that denotes a part was removed. 00:00 – Hellos, voice checks… Jenn arrives. 02:00 – Terrain Editor – promised in this coming release. 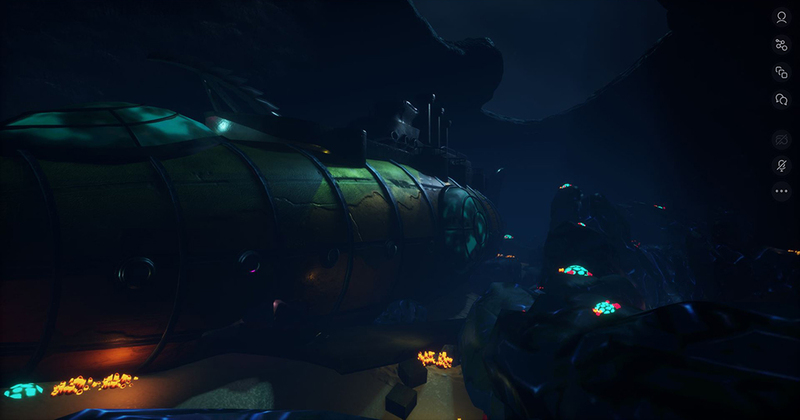 Sansar peeps will be meeting up at Dwarven Fortress this week – 1 PM (PT) Monday thru Friday! Come hang out, meet others, chat, and have a good time. To find out what time 1 PM PT is in your area, try the world clock converting tool.